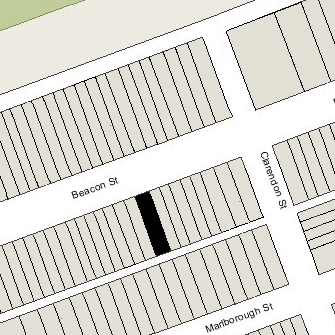 221 Beacon is located on the south side of Beacon, between Clarendon and Dartmouth, with 219 Beacon to the east and 223 Beacon to the west. 221 Beacon was built ca. 1870 for building contractor George Wheatland, Jr., for speculative sale. One year earlier, he had built four contiguous houses immediately to the west, at 223-225-227-229 Beacon. 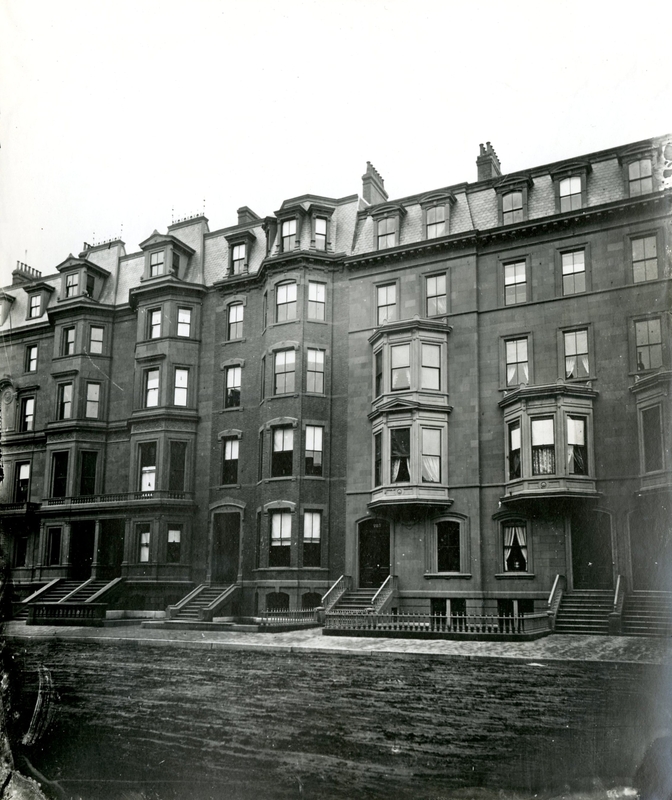 George Wheatland, Jr., purchased the land for 221 Beacon from the Commonwealth of Massachusetts on November 12, 1869. Click here for an index to the deeds for 221 Beacon. On November 2, 1870, 221 Beacon was purchased from George Wheatland, Jr., by Benjamin Franklin Thomas. He and his wife, Mary Anne (Park) Thomas, made it their home. They previously had lived at Jamaica Plain. They also maintained a home in Beverly. Benjamin Thomas was an attorney. He served as a judge of the Massachusetts Supreme Judicial Court from 1853 to 1859, and as a Member of Congress from 1861 to 1863. They continued to live at 221 Beacon until his death in September of 1878. After his death, Mary Anne Thomas moved to the Hotel Kempton at 237 Berkeley. 221 Beacon was not listed in the 1879 Blue Book. On June 11, 1879, 221 Beacon was purchased from Benjamin F. Thomas’s heirs by Edward E. Rice and Henry Augustus Rice, trustees of a trust established for the benefit of their sister, Harriet Louise Rice, at the time of her marriage to Charles Lowell Thayer in March of 1839. 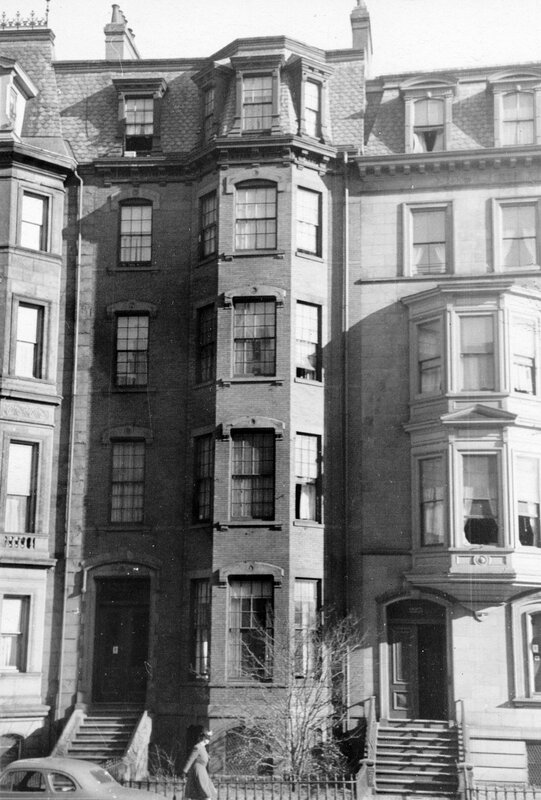 221 Beacon became the home of Charles Thayer and Harriet (Rice) Thayer. They previously had lived at 131 West Chester Park. Charles Thayer was president of the National City Bank, a commission merchant, and a dealer in paints and drugs. Their grandson, Lowell Thayer Field, the son of Barnum Field and Harriet (Thayer) Field, lived with them. He was an iron and steel dealer. He had also lived with them at 131 West Chester Park. Charles Thayer died in June of 1884. On June 16, 1884. Harriet Thayer’s trustees transferred 221 Beacon into her name. 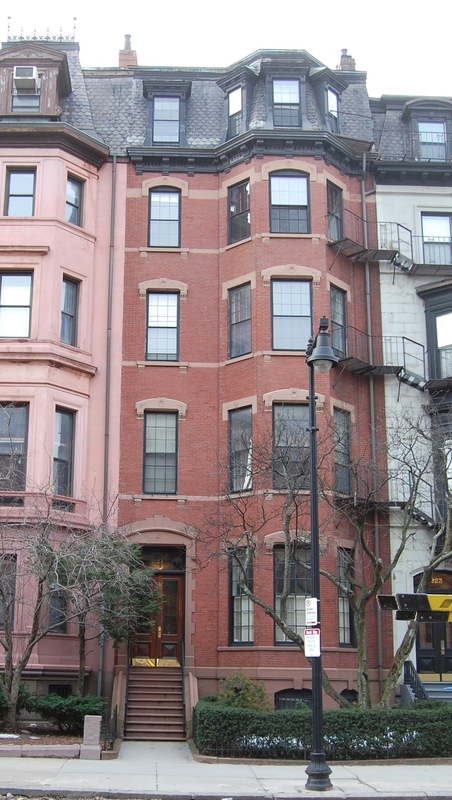 She continued to live at 221 Beacon; Lowell Field lived with her until his marriage in May of 1886 to Susie Clifford Brastow. Harriet Thayer continued to live there until her death in September of 1898. The house was not listed in the 1899 Blue Book. On June 28, 1899, 221 Beacon was purchased from Harriet Thayer’s estate by Hannah Thwing (Draper) Osgood, the wife of Edward Louis Osgood. They previously had lived at 377 Marlborough. They also maintained a home in Hopedale. Edward Osgood had been a publisher in his brother’s firm, James R. Osgood & Co. and subsequently became a banker and a manufacturer in Hopedale. During the 1904-1905 winter season, the Osgoods were living elsewhere and 221 Beacon was the home of Nathaniel Hugh Cotton and his wife, Harriet Emma (Clapp) Cotton. They previously had lived at the Hotel Somerset. N. Hugh Cotton was a West Indies shipping merchant. They moved in 1905 and by the 1906-1907 winter season were living at 474 Beacon. By the 1905-1906 winter season, the Osgoods were living at 221 Beacon once again. Edward Osgood died in June of 1911. Hannah Osgood continued to live at 221 Beacon and in Hopedale with their unmarried twin daughters, Fanny (Fannie) Colburn Osgood and Hannah (Hester) Draper Osgood, and unmarried son, George Draper Osgood. Hannah Draper Osgood married in January of 1913 to Henry Hotchkiss Townshend, a lawyer in New Haven. George Osgood moved by 1917. Fanny Osgood continued to live with her mother. She was a championship golfer and, in the 1920s, operated Le Syndicat Gowns at 230 Boylston. Hannah (Draper) Osgood died in February of 1929. On July 19, 1930, 221 Beacon was acquired from Hannah Osgood’s estate by Charles H. Hemenway. Two days later, he transferred it to Ethel G. (Carmichael) Ball, the wife of real estate dealer Edward J. Ball. That same month, Edward Ball applied for (and subsequently received) permission to convert the property from a single-family dwelling into six apartments. On February 14, 1931, Charles Hemenway acquired 221 Beacon back from Ethel Ball. On December 29, 1931, William H. Brown foreclosed on a mortgage given by Charles Hemenway and took possession of the property. On July 5, 1932, it was acquired from William Brown by Harry Skinner. In early 1934, 221 Beacon was damaged by fire and a subsequent investigation indicated that the earlier remodeling had not been undertaken consistent with the approved plans. On October 14, 1939, 221 Beacon was acquired from Harry Skinner by George J. Epps, and on October 20, 1939, it was acquired from him by Donald Allmon, a real estate broker. He lived in Reading with his parents, William H. Allmon and Margaret (Trenholm) Allmon (in 1937, Donald Allmon, his parents, and his brother and sister — William, Jr., and Vivian — had lived briefly in one of the apartments at 221 Beacon). Donald Allmon married in August of 1942 to Janet Cary Waters; by 1946, they lived in an apartment at 277 Beacon. On November 8, 1946, 221 Beacon was acquired from Donald Allmon by Louis J. Binda, and on the same day he conveyed the property to Eleanor M. (Gordes) Harwood of Milton, the widow of Franklin Andrews Harwood. After acquiring the building, she lived in one of the apartments. On September 17, 1977, she transferred the property to herself and her son, Robert Lee Harwood, as trustees of the Eleanor M. Harwood Trust. On May 25, 1978, 221 Beacon was purchased from Eleanor Harwood and Robert Harwood, trustees, by Arthur E. Simons, trustee of the 221 Beacon Street Realty Trust. 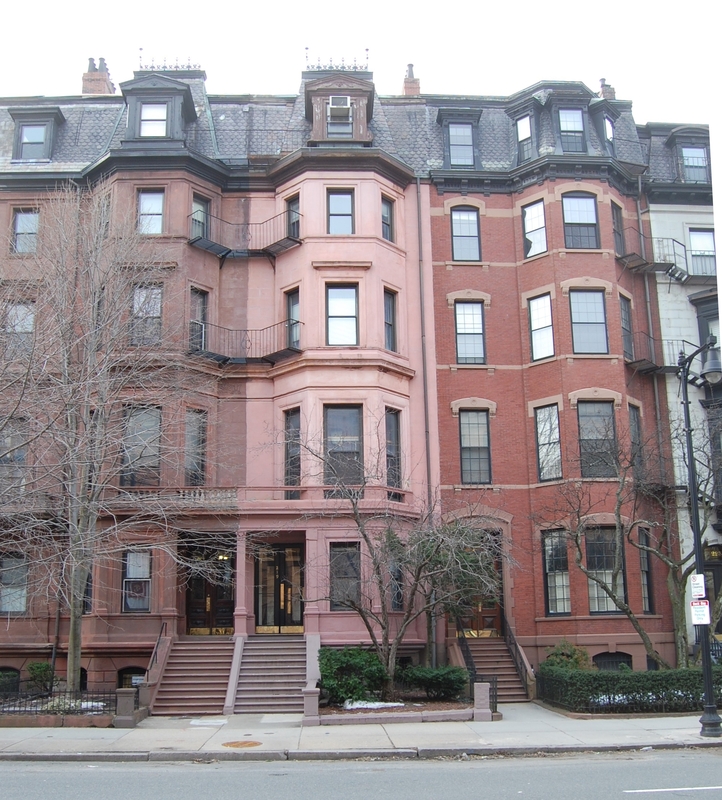 On August 10, 1978, the 221 Beacon Realty Corporation purchased 221 Beacon from Arthur E. Simons, and on the same day it converted the property into seven condominium units, the 221 Beacon Street Condominium. In July of 1978, prior to taking title to the property, it had applied for (and subsequently received) permission to remodel the building, changing the legal occupancy from six to five units (which was the existing condition). On December 21, 1978, it amended the condominium master deed to reduce the number of units to five. On September 27, 2012, the condominium owners amended the condominium master deed to reduce the number of units from five to four, reflecting the combination two units.